This entry was posted in Equipment, Gear and tagged 50mm, 5D mark ii, 5D2, 5Dii, Canon, DF, digital, DSLR, equipment, expensive, film, FT, Gear, hipster, LED, New vs Old, Nikkormat, Nikon, Nikon DF, NikonDF, old school, photo, Photographer, Photography, prime, SLR, vintage, vs. Bookmark the permalink. 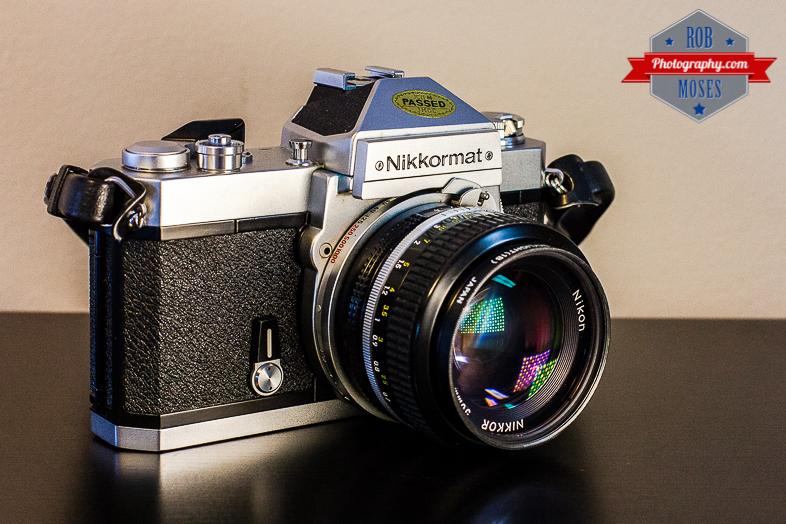 I think it’s pretty neat to sell DSLRs that look like a camera from the 70s and early 80s. Nostalgic photographers might pick one up to remember the past. Yes, my eyes bugged out at the price. I think that you and I get to have a reasonably old-school experience shooting our Samsung NX bodies with Canon FD lenses. I usually shoot in aperture priority, which makes handling very simple. The focus magnification and focus peaking mean that I can usually get a sharp shot–unless, of course, I’m at f/1.4, very close to my subject, and focusing on something away from the center of the screen. I compensate then by taking several shots. If the NX bodies had dedicated dials for shutter speed, the retro experience would be almost complete, except for the framing and focusing. But I just imagine that I’m shooting with an waist-level finder . . .
Now, I do love the experience of shooting through my Mamiya 645 1000s, which handles much like my old Canon TLb (with some obvious differences). I really appreciate the viewfinders on the old cameras, and I also like the solid feel of the focus rings. I find the focus rings on my Samsung and Nikon digital lenses to be very fidgety. And, depending on the subject, I sometimes have trouble getting my Nikon D5000 sharply focused. The viewfinder just does not have the snap of the Mamiya or my old Canon. 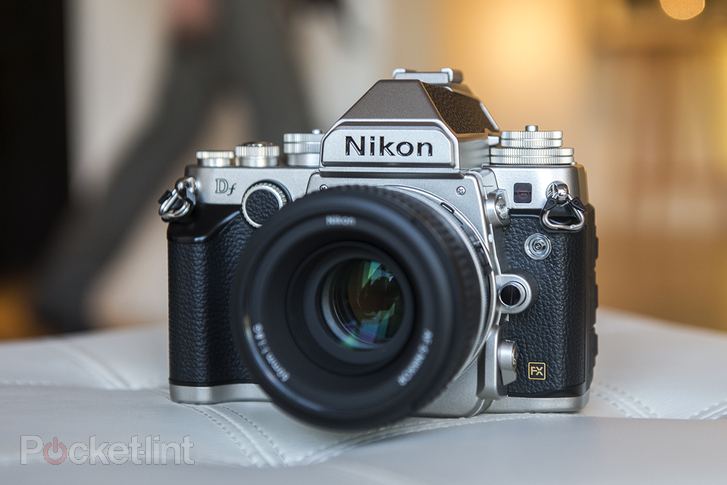 From another review (also not hands on), I understand that the Nikon Df will not have a truly old-school viewfinder. I therefore have deep doubts about it. And, why kid myself: before I save up three grand for a new camera, I’ll spend it in dribs and drabs on old stuff. I could use some more lenses for both my Mamiya 645 and my Cambo 4×5 . . . I don’t know if you’re familiar with Ming Thein. He’s an excellent photographer, and he’s quite the gear guy. If you’re not familiar with his blog, I’d suggest checking it out. I completely agree Dan! I often get that old feel with my Samsun/Canon set up 🙂 Those lenses are such a joy to use! I’ll check out that blog. Thanks for sharing it and for your thoughts on this subject. Haha for sure! That camera has hipster written all over it! I still want one though! haha. Maybe when the next 2 like this come out the price of this one will be come a little more reasonable on the used market. It is a thing of beauty, for sure. definitely a cool looking camera…saw a comparison of this camera earlier today…have to say the cost far out ways the look! It is a gorgeous camera… I have been seeing a lot of mixed reviews however… But as someone who still longs for their original Pentax 1000 I appreciate what Nikon (and other camera makers) are trying to do. Wow, no idea how I missed your comment! I am just seeing it now :(. Sorry about that. Anyhow, I haven’t heard to much good stuff about the DF either to be honest. However, I think I would still like one haha. I just love how the old cameras work but love the convince of digital. Ahh the Mamiya…had a few of those too…sigh. No! I’m resisting the urge to eBay!! !